Cases of any level of Postpartum Depression left undiagnosed and untreated can cause many consequences for women, infants and families. Women suffering from PPD may not be able to help run their households. They may not be able to care for themselves. This is a very vivid picture of how the Lord redeems you and I. However it is also a picture of how much He loves us. We are given the ability to believe that God is good by reading His word. We are told that the more we hear God’s word, the more we will be able to believe what He tells us. We must believe in our hearts first. When one door closes, another door opens! Gaining God’s permission I asked for a platform to broadcast His love, and His redemptive promises the Life of His Son Jesus. 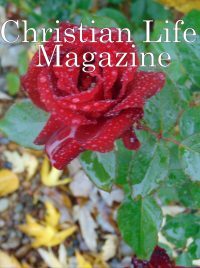 Steadily, Christian Life Magazine has become a reality.